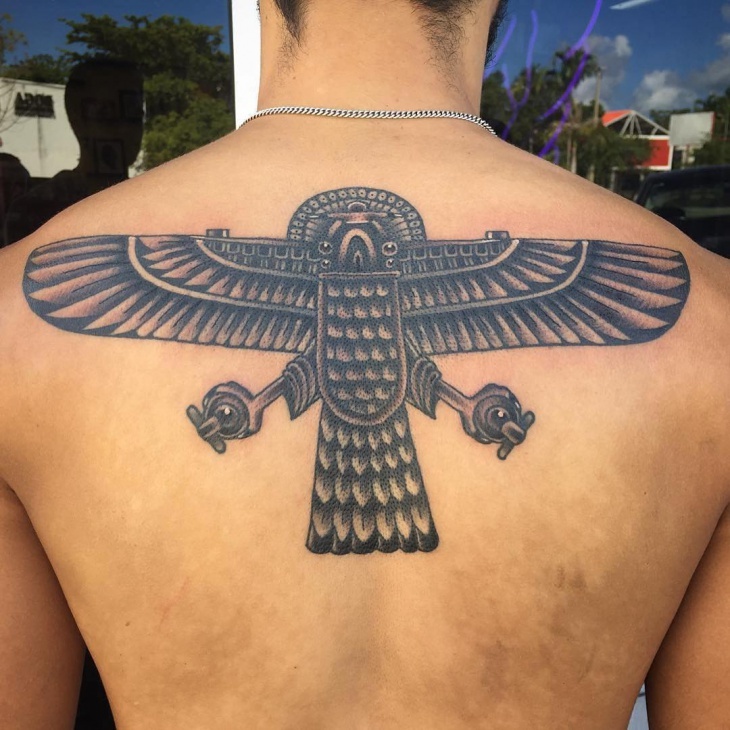 This Egyptian falcon tattoo on the back in black ink is a symbol of intellect and power. In Egyptian mythology, Ra the Sun God was depicted with a falcon. 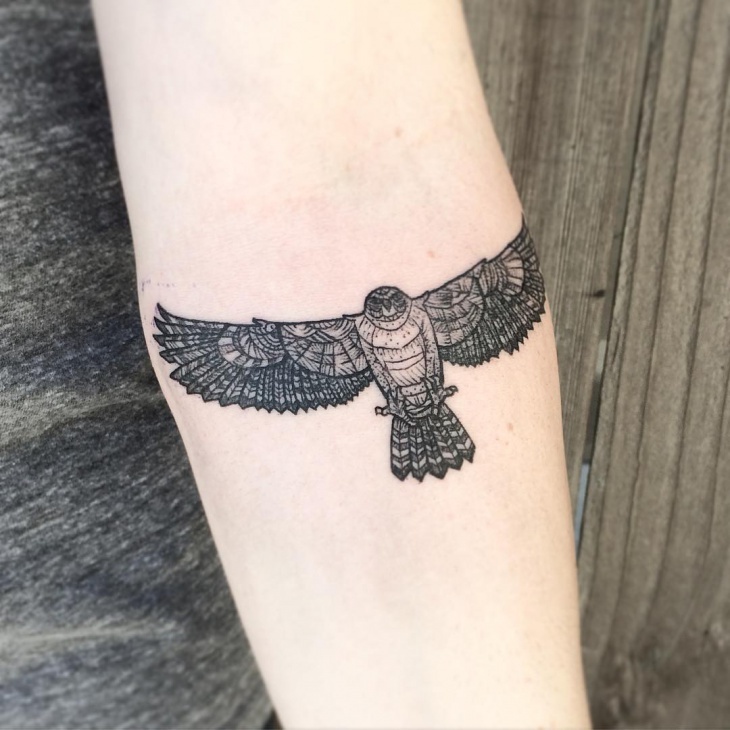 People who believe in Egyptian mythology or people who are fascinated by the intellect and power of the Egyptian Falcon would love to have this tattoo. 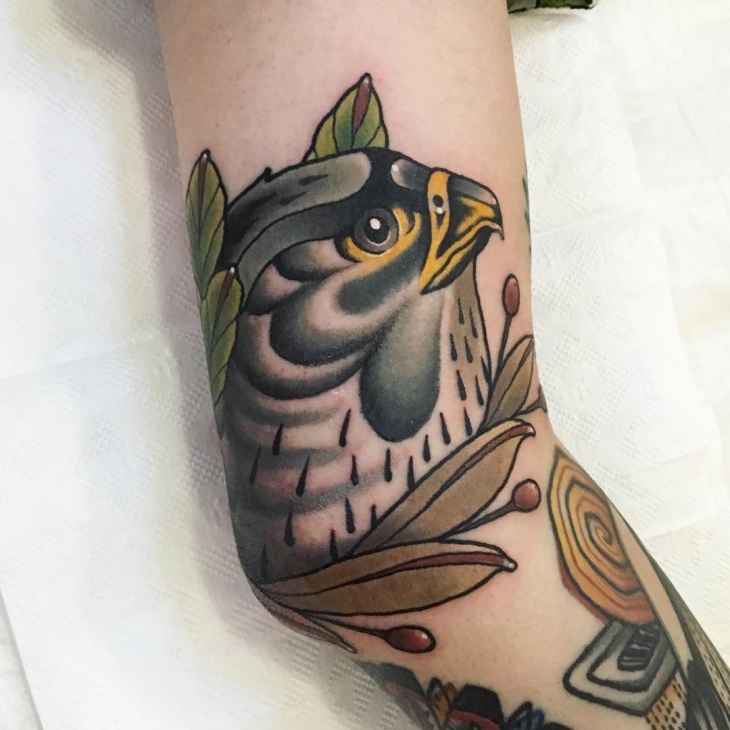 This beautiful falcon tattoo on a rose flower branch is in a ready to fly position. The tattoo represents falcon as the ever attentive, ready to defend, ready to take action if a dangerous situation arises etc. 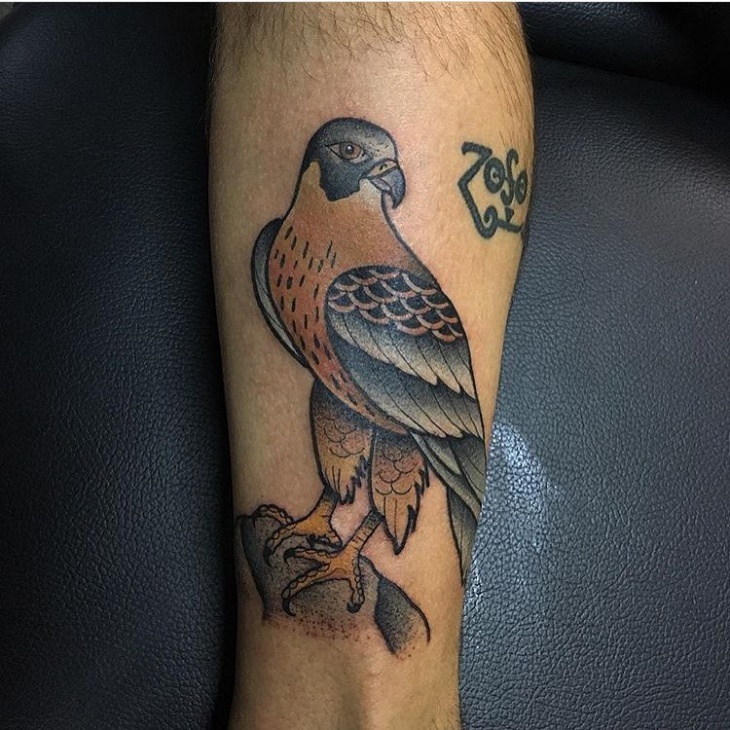 People who love this side of the falcon would love to have this tattoo. 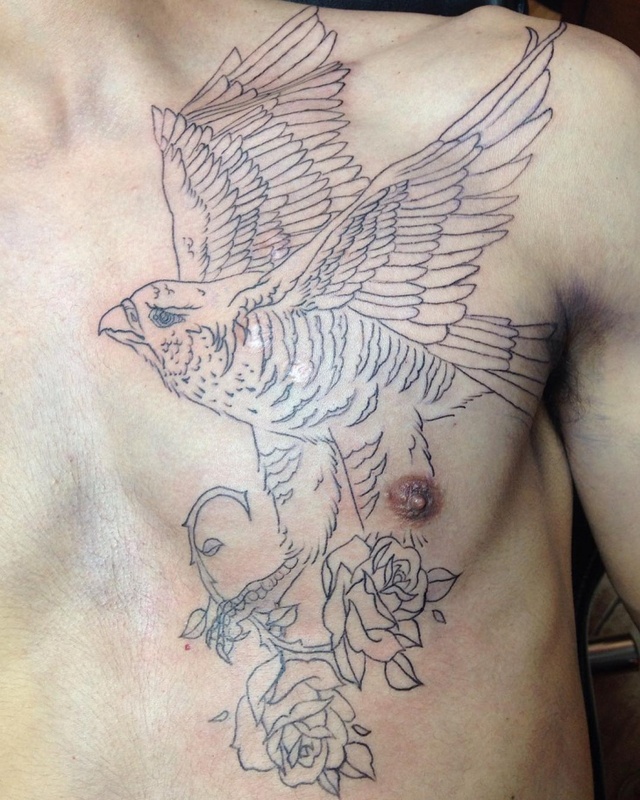 The detailing of the bird and the roses done in a sketchy way is really appealing. 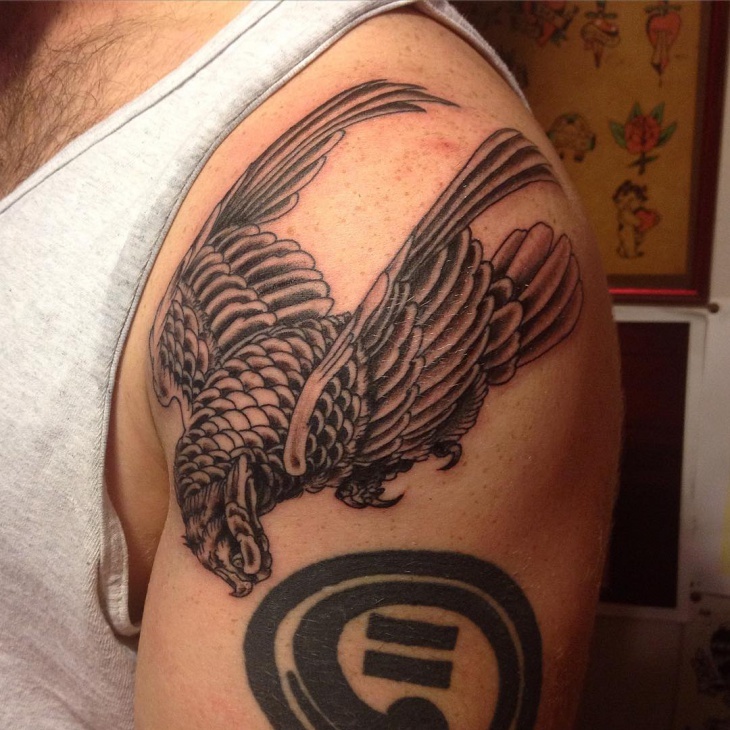 This falcon tattoo depicted on the half shoulder sleeve is looking tremendous in black color. The Falcon is depicted as flying and ready to hunt is looking as it has its entire focus on the prey. 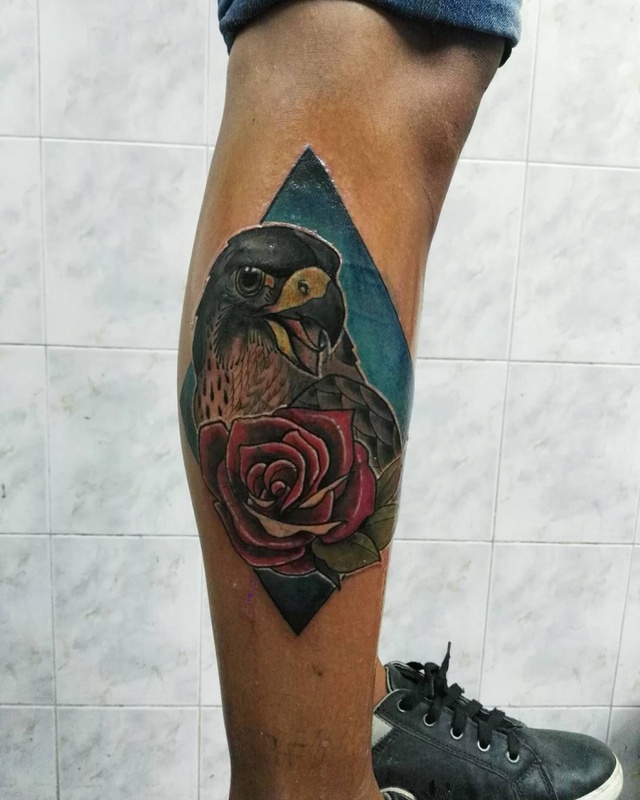 The black and brown colored falcon tattoo, with its wings spread and focused, is liked by many people who love the amount of concentration and focus a falcon displays. 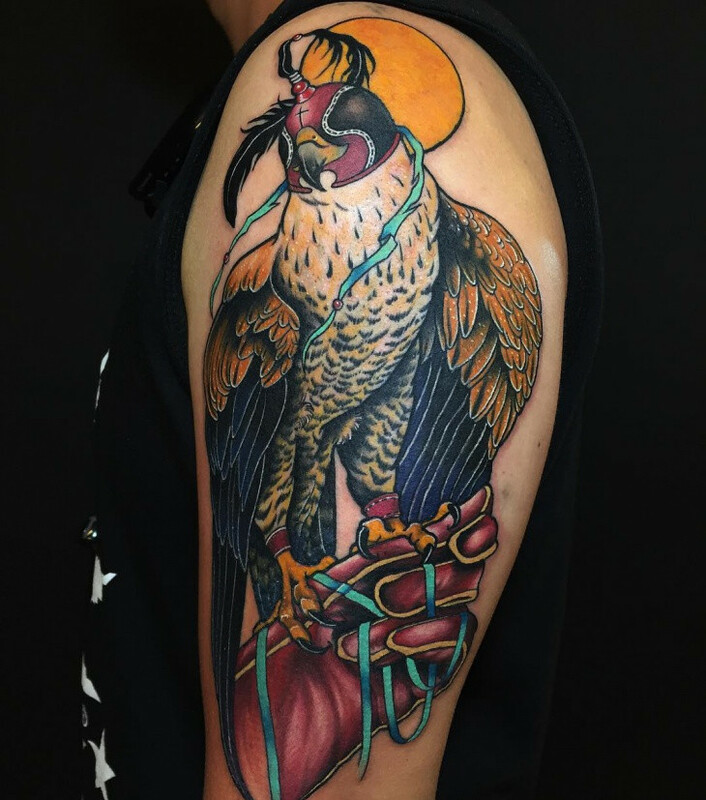 This beautiful falcon head tattoo depicted on the arm is bright and colorful in shades of black, orange and green. 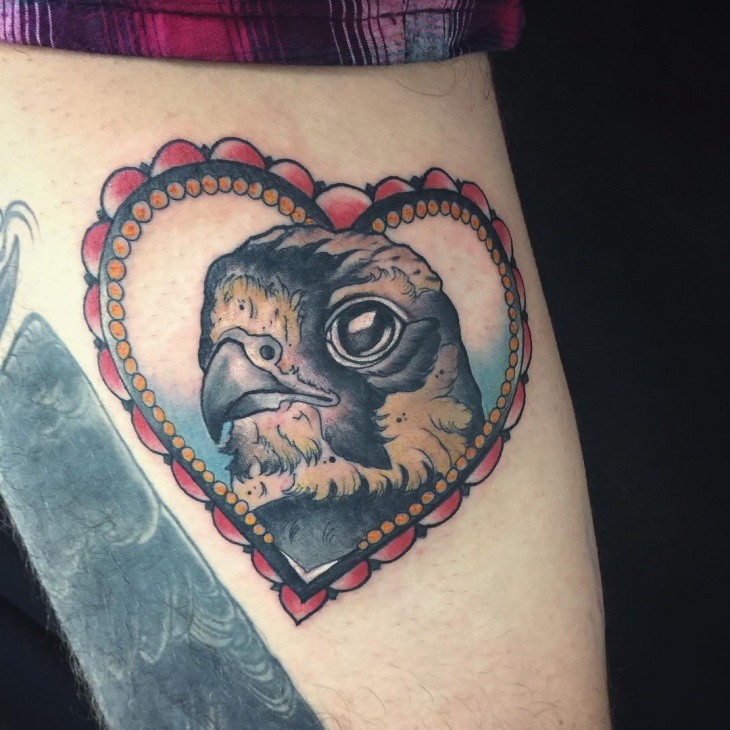 The perfection and the detailing of this tattoo and the intensity of the eyes altogether make this a dream tattoo for every falcon tattoo lover. 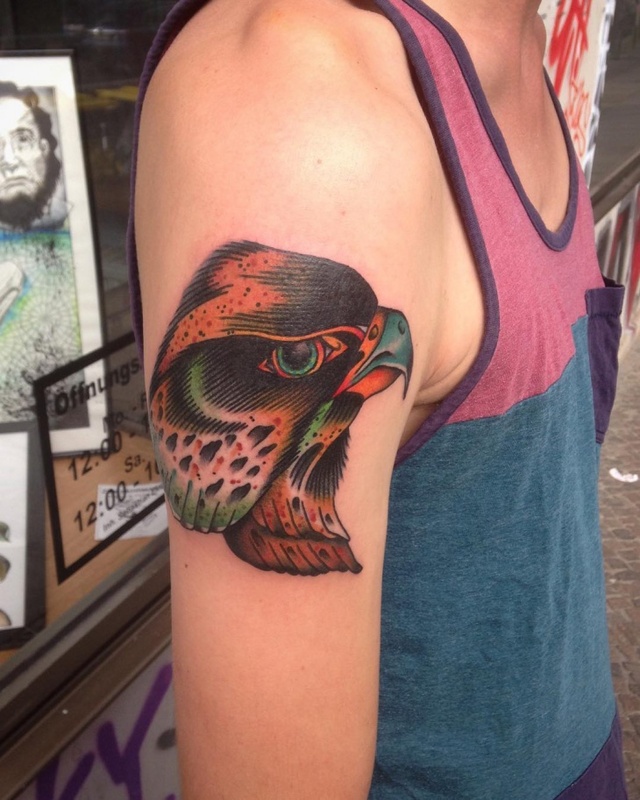 This traditional falcon tattoo in shades of green and orange perched on a stone is looking wonderful. The backdrop of the Sun in red color and the calm posture of falcon are picture perfect. 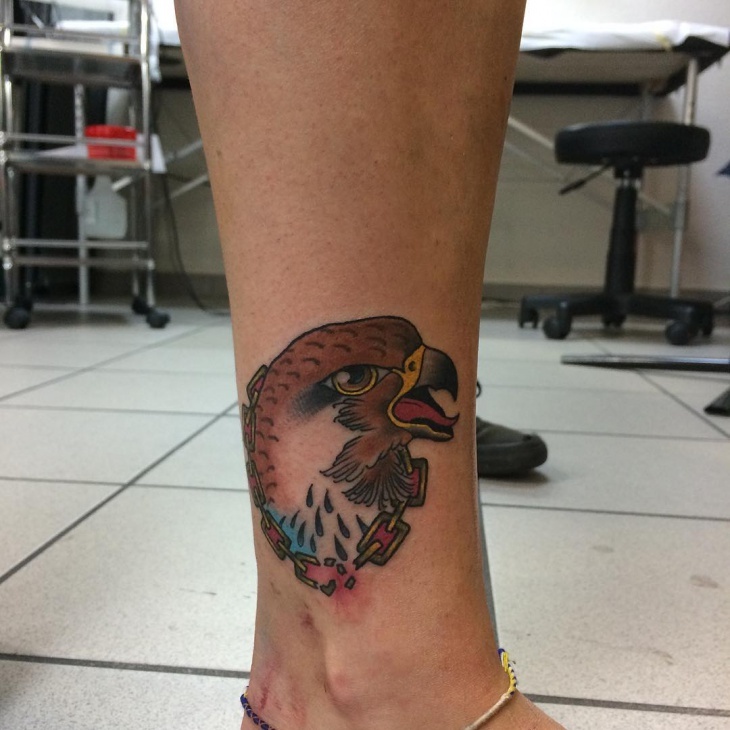 The patience and the wait a falcon displays attract many falcon lovers to have this tattoo done. 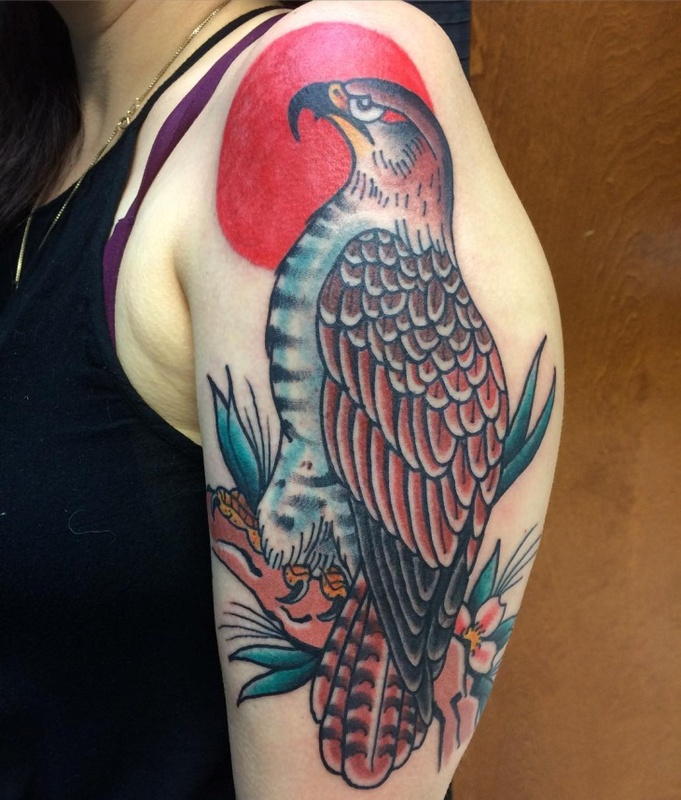 This beautiful falcon tattoo with its wide spread wings is a piece of art. 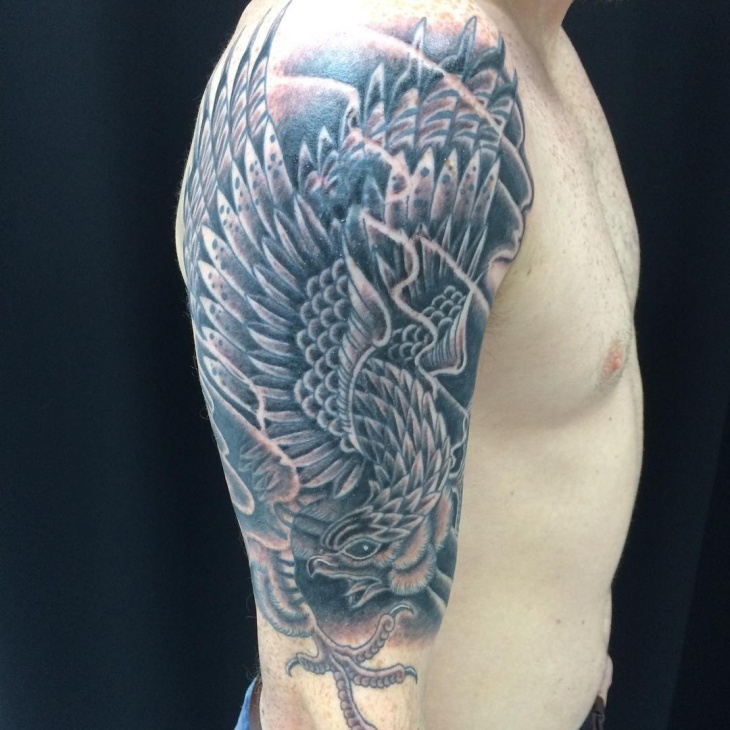 The intricate design of the tattoo done in black color is hard t be ignored. 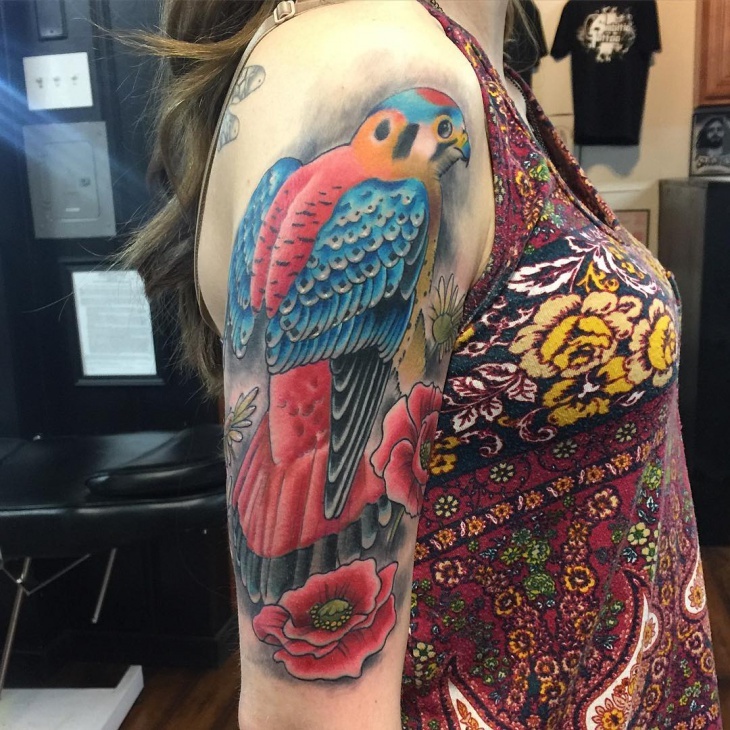 Tattoo lovers who love the beauty of falcon would have it done for sure. 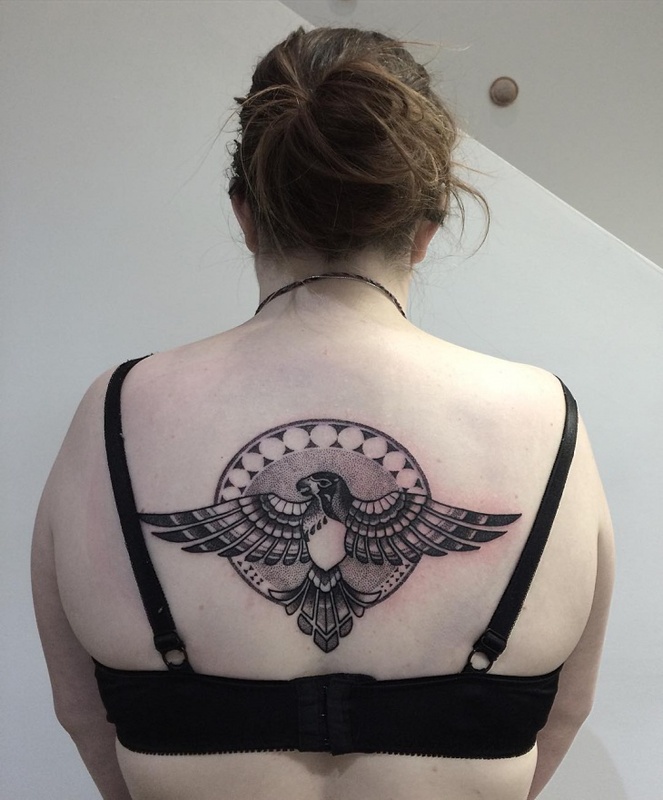 This falling free falcon tattoo on the shoulder in black color is just fascinating and breathtaking. 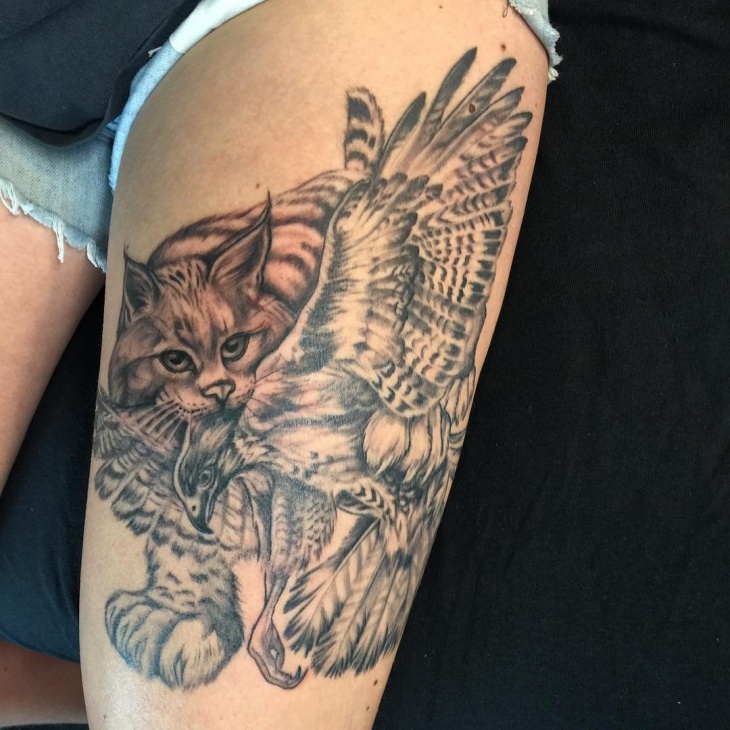 The free fall of the falcon is captivated very well and the intricate design of the tattoo with very good shadings is sure to be loved by everyone. 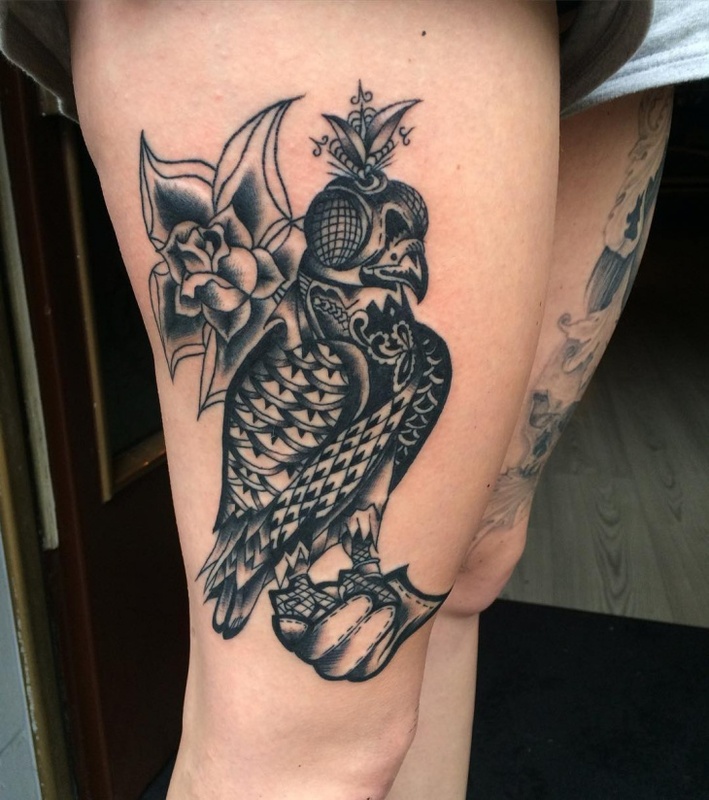 This amazing falcon tattoo on the thigh which is done in black ink is a piece of art. 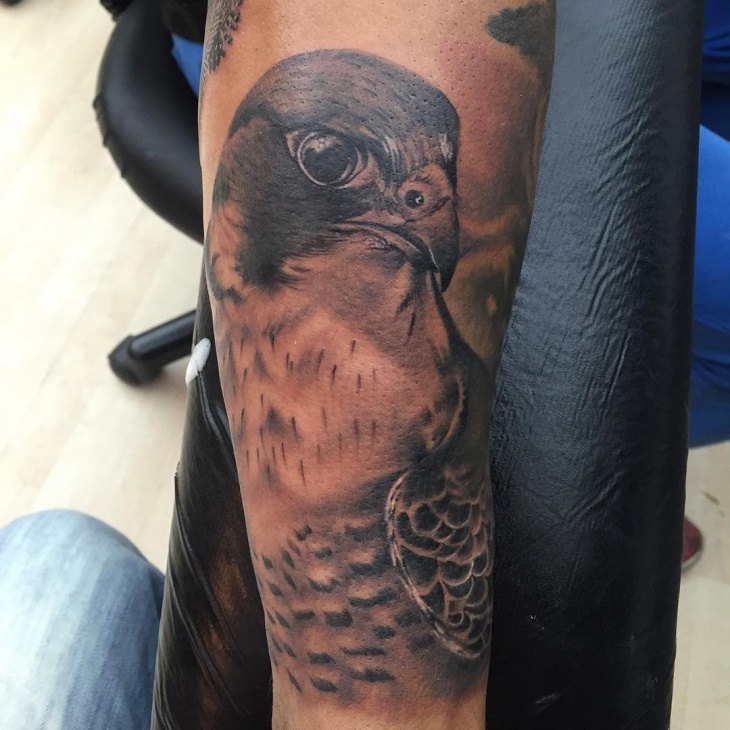 The falcon perched on a person’s hand show the strength and friendly nature of the bird. Tattoo lovers would love to get this tattoo. 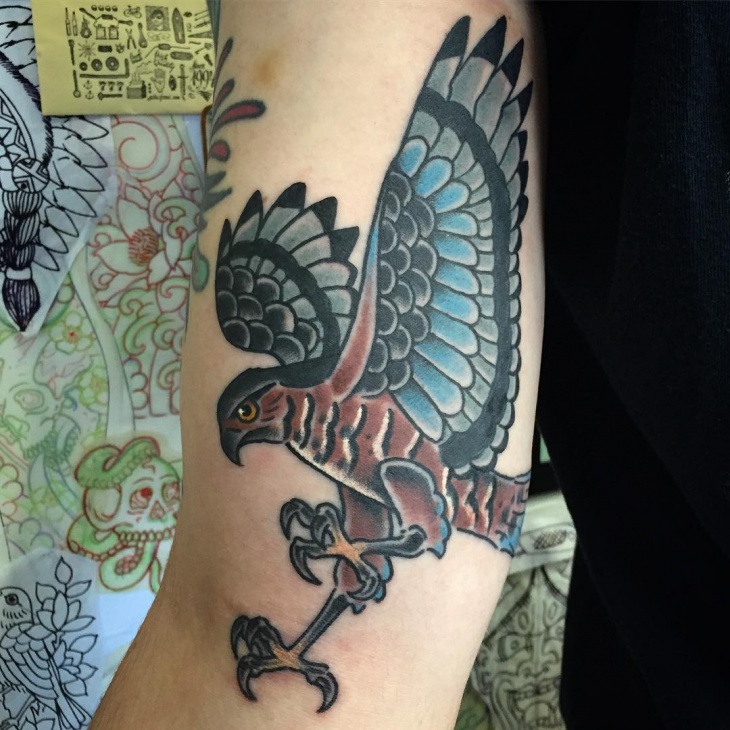 The Falcon tattoos are loved by everyone as they are huge birds with lots of determination and focus. 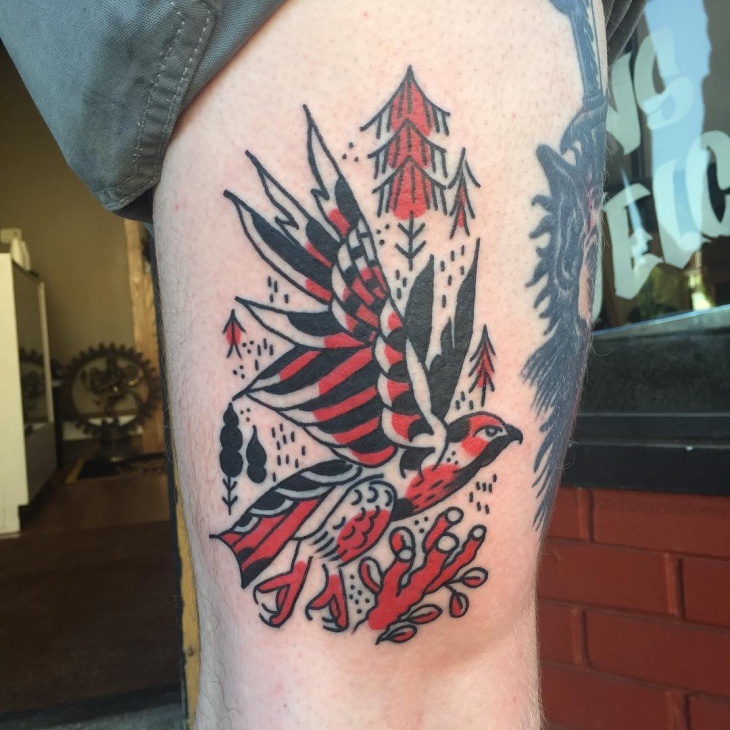 Tattoos displaying strength and determination are best to be done on shoulders and thighs where the muscle strength adds an element of intensity. 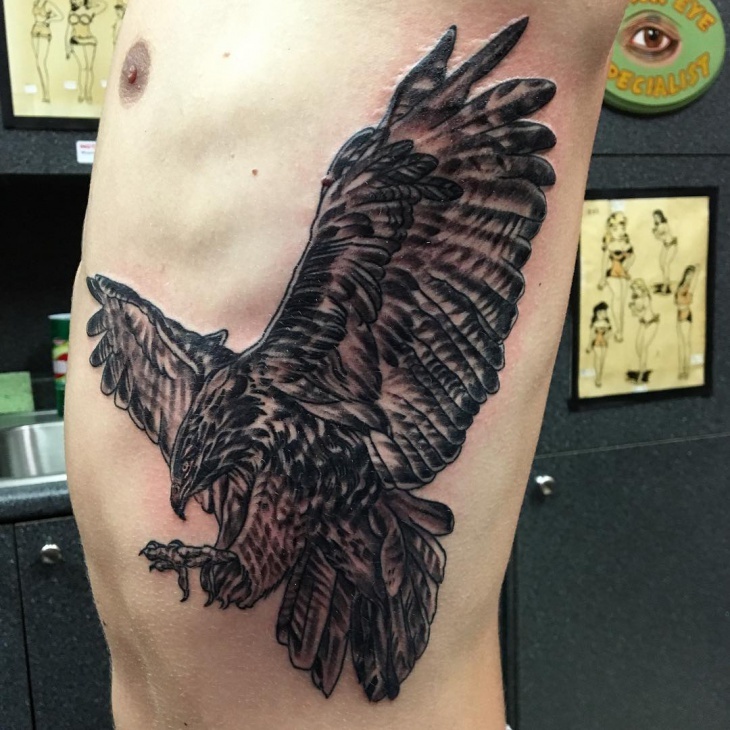 Eagle tattoo is also the favorite among tattoo lovers along with falcon tattoos.